Nobody remembers the morning after the greatest night of their life. The breakfast that followed their wedding night, the downpour that followed their daughter’s graduation. 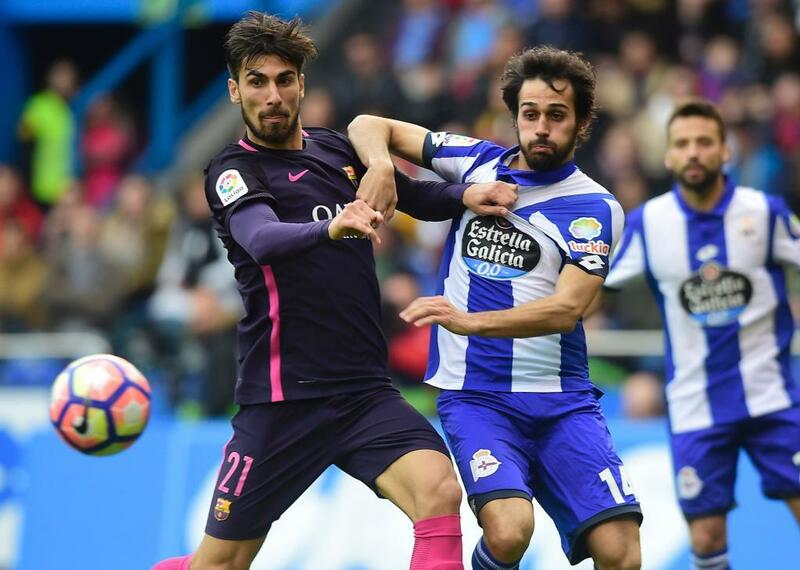 However, the history books may well remember how Barcelona followed their historic victory over Paris Saint-Germain with a nightmarish defeat at Deportivo La Coruna. The fight for the LaLiga title in 2016/17 has been heightened in recent weeks with Luis Enrique’s imminent departure as Blaugrana coach and the sudden whiff of a momentous treble that would serve to deny rivals Real Madrid, league leaders for so long, yet another domestic winners’ medal. And yet it is games such as Sunday’s at Estadio Riazor, against a Depor side reinvigorated by Pepe Mel’s trademark, relegation-busting, motif, that can serve to punish any team that takes their eye off the ball (see: Real Madrid 3-3 Las Palmas). Unfortunately for the visitors, keeping their eye on the ball was exactly the reason for Joselu’s opening goal after 40 minutes. Moments after the former Stoke striker had a wonderful left-footed flick turned around the post, he pounced on a loose ball that Javier Mascherano and Marc-Andre ter Stegen were unable to clear, Sergi Roberto and Arda Turan re-enacting PSG’s infamous staticity. It was a goal that Barcelona couldn’t be said to have deserved conceding, Luis Suarez and Sergi Roberto had emerged with the ball into good openings beforehand but lacked the killer instinct that was so famed on Wednesday night. Luis Enrique wisely persisted in the second-half with the 3-4-3 formation that was somewhat makeshift with Denis Suarez at right wing and Jordi Alba at centre-back, but the former served up a decent cross in the early moments that fell kindly for his namesake Luis to drill home, a mere 60 seconds after the whistle. The equaliser was not followed by any great surge, the likes of which the Catalans have failed to produce for a whole four days, now. 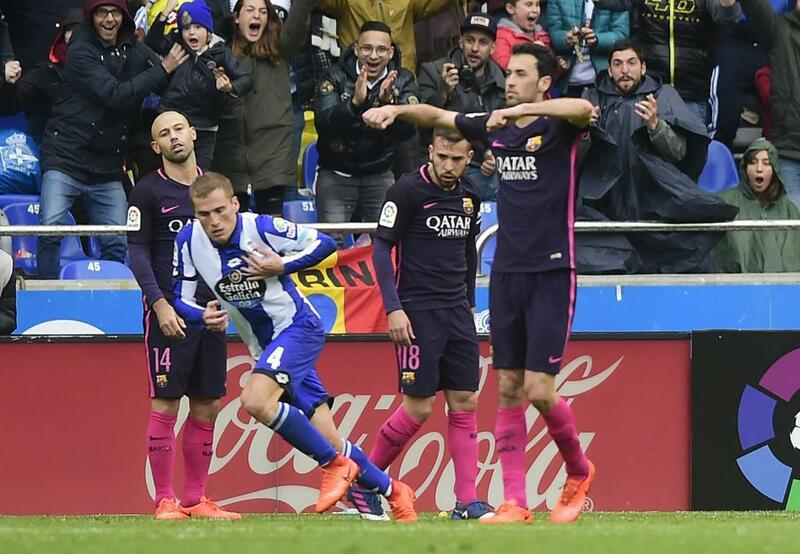 Ivan Rakitic and Andres Iniesta were deployed from the bench to summon an air of authority that was absent in the average Turan and Andre Gomes, but Depor earned the last laugh via Alex Bergantinos’ far post header. Sure, the rarely-used defender may have unfairly climbed above Alba at the far post to head home, but the warning signs were there for the Blaugrana as Alejandro Arribas had cracked the woodwork seconds earlier from a set-piece to go alongside Joselu’s opener. Somehow, the score remained at 2-1 despite Luis Suarez sending a sitter straight at German Lux with 10 minutes left, and Faycal Fajr conspiring to fluff a two-on-one opportunity at the death. No one will remember that miss, however, the history books will only remember that Depor strode eight points clear of the bottom three with their win, and that Barcelona gifted Real the impetus in the La Liga title race at the same moment.